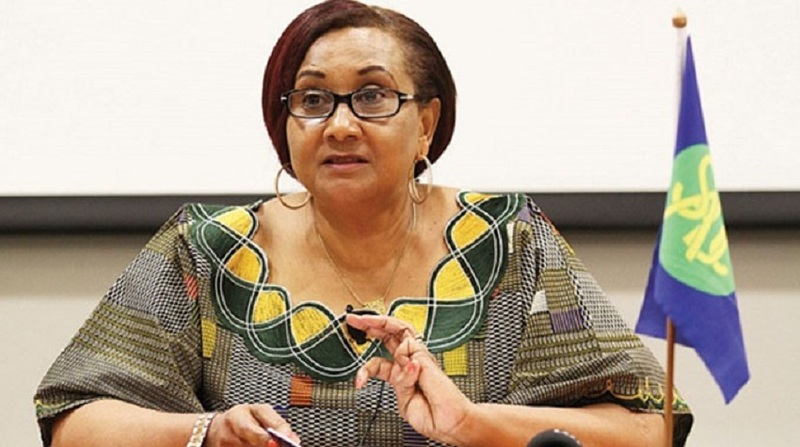 SADC Executive Secretary Dr Stergomena Lawrence Tax has advised the opposition MDC Alliance that President Emmerson Mnangagwa’s legitimacy is indisputable, underscoring that the regional bloc is preparing for Zimbabwe’s Head of State and Government to take over as Chair of its influential Organ on Politics, Defence and Security Co-operation. President Mnangagwa assumes Chairmanship of the Organ at the 2019 Ordinary Sadc Summit. The Organ is one of the bloc’s foremost structures, mandated with overseeing elections and promoting peace and security, including deployment of Sadc forces. Mr Nelson Chamisa’s MDC Alliance on Thursday released a petition to the Parliament of Zimbabwe, Sadc and African Union challenging President Mnangagwa’s legitimacy. President Mnangagwa not only out-polled Mr Chamisa by more than 300 000 votes, he also surpassed the constitutional threshold of 50 percent-plus-one of total ballots cast to be declared the winner without the need of a run-off in the July 2018 Presidential race. The MDC Alliance has snubbed the Sadc and AU Election Observer Mission Reports endorsing the elections. Responding to questions from our Harare Bureau after a three-day working visit to Zimbabwe, Dr Tax poured cold water on the petition, saying both the electoral management body and the Constitutional Court had declared President Mnangagwa the winner. “In terms of the petition, I have not received the petition. What should be recognised is that Zimbabwe is a sovereign country, Zimbabwe has a Constitution and Zimbabwe is guided by a number of legislations. Our advice is that let those be observed, elections took place, elections were contested, the Constitutional Court also judged. So all those were processes and instruments to ensure that there is democracy,” she said. Dr Tax commended President Mnangagwa for promoting political freedoms. She added that Sadc’s prime focus on Zimbabwe was preparing Harare to Chair the Organ on Politics, Defence and Security Co-operation. Dr Tax said during her visit, she met Defence and War Veterans Minister Cde Oppah Muchinguri-Kashiri and high-ranking Foreign Affairs Ministry officials to knuckle down on the matters that would require President Mnangagwa’s attention when he took over the Organ. “Again we are going to assume (operational command) of the Standby Force under the African Union. This is an area under peacekeeping and is very critical, so we have to make sure that in the event that we are called to intervene we are ready. Dr Tax said Sadc was fully behind Zimbabwe’s economic reforms and was encouraging its international co-operating partners to also lend support to Harare and the bloc would continue to call for an end to economic sanctions on Zimbabwe.